Pakistan Vs Australia 1st ODI will be played on today 19th January, 2019 at Sharjah international cricket stadium on 4:00PM (PST). The ODI Matches Series between Pakistan and Australia is all set to start from 22nd March, 2019. 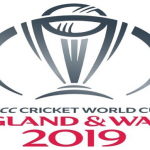 For both teams, the series is an important step towards the Cricket World Cup 2019 in England and Wales starting from 30th May. Pakistan Vs Australia 1st ODI match will start at 4:00 PM on Pakistan Standard Time. Pakistan Squad: Shoaib Malik (captain), Abid Ali, Faheem Ashraf, Haris Sohail, Imad Wasim, Imam-ul-Haq, Junaid Khan, Mohammad Abbas, Mohammad Amir, Mohammad Hasnain, Mohammad Rizwan, Saad Ali, Shan Masood, Umar Akmal, Usman Shinwari and Yasir Shah. Watch the Pakistan Vs Australia 1st ODI live streaming on Sony Six and Sony Six HD in India, PTV Sports, Ten Sports in Pakistan, Willow TV in USA while the Sky Sports Cricket will broadcast the live streaming in UK. Pakistan Vs Australia 1st ODI Live Streaming From Sharjah, March 22. Pakistan Vs Australia 1st ODI will be played on today 19th January, 2019 at Sharjah international cricket stadium on 4:00PM (PST).